Connecting you with your favorite authors. But as much as I love the familiar lilt of those words, my favorite version of the Christmas story is in the gospel of John. There it is. The light in the darkness, God making his dwelling among us. It’s the reason we celebrate, the reason we remember, the reason we tell stories and sing songs and love one another: Jesus, who came to bring life and light. And the darkness has not–and will not–overcome it. Merry Christmas from Bethany House. May you and your family spend this day in celebration of that perfect light. Oftentimes, the things we hold most dear in the present are those that are in some way tied to the past. As a kid who moved around a lot growing up, one who lived in that Wonder Years generation when family life was changing fast, I treasured the routines that were the same from year to year. Holidays always brought those touchstones—the snow globe with Santa in the middle; the wind-up music box with the three wise men standing, oddly enough, in front of a fully-decorated Christmas tree; the scratched-up glass ornaments my parents had brought home from Germany, where I was born. Opening that big Christmas box each year and bringing out my old favorites was magical. I loved sitting in front of the nativity set, imagining Mary and Joseph traveling along on a far-away, cold, dark night, seeking shelter. 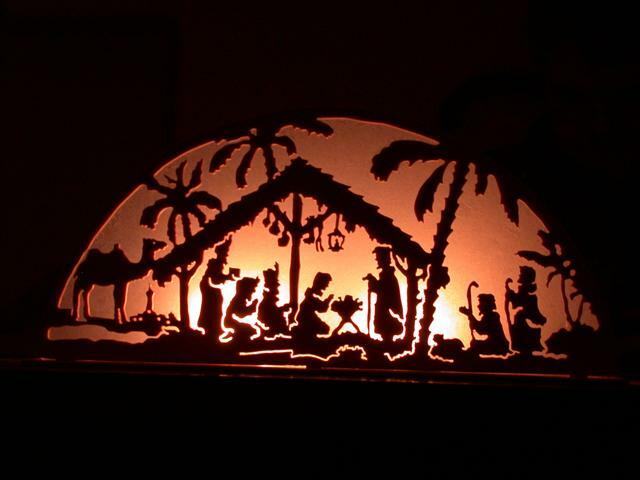 When I gazed into the nativity, I imagined what it must have been like, how worried Mary and Joseph must have been when they couldn’t find shelter, how frightening and disappointing it must have been to give birth to a first child in a stable among oxen and sheep. Contemplating the reality of that night was, for me, a way of seeking the true light of Christmas, the miracle of a savior born in the humblest of circumstances. As a mom, I’ve found myself in charge of forming and keeping the family traditions that (hopefully) slow down our busy family and help us to stare into the nativity and contemplate the wonder of it. Though I’m loathe to admit it, my husband and children do not always find these family traditions as important as I do. These days, I’m thinking maybe I need to find the Nativity App for iPad. But one of the traditions we all love, one that focuses us and quiets us each Christmas Eve, is a trip to this beautiful old pioneer church for a candlelight service. Some of my very best childhood memories are about times I spent at my grandparents’ house. My mother’s parents, as well as all but one of her siblings and their kids, lived in the Dallas area when I was growing up, and we saw each other for almost every holiday and during the summer. Most of the time we spent together, we were at Grandma’s house. Grandma came from a time when women did not usually hold jobs, especially after they were married, but you could never say that Grandma didn’t work. She was raised on a small Texas farm, very close to where I live now, where they had few conveniences and manual labor was the order of the day. I don’t remember ever thinking about it much when I was growing up, but now I look back and wonder how in the world she ever got everything done. She never drove a car, not even once, so if she needed something from the store when Grandpa was at work, she walked. She didn’t have a washing machine or dryer until she was in her late sixties, but she did all the family laundry herself. Her house was always neat and tidy, except for when we twelve cousins got together and made a shambles of the place. Except for the mowing, she did all the yard work, including raising and crossbreeding prizewinning irises, along with an abundance of other flowers. She never had a microwave, and frozen dinners and pretty much any kind of pre-made food were taboo in her opinion, so she cooked everything from scratch, and there was always a feast on the table. And that was just on an average day. 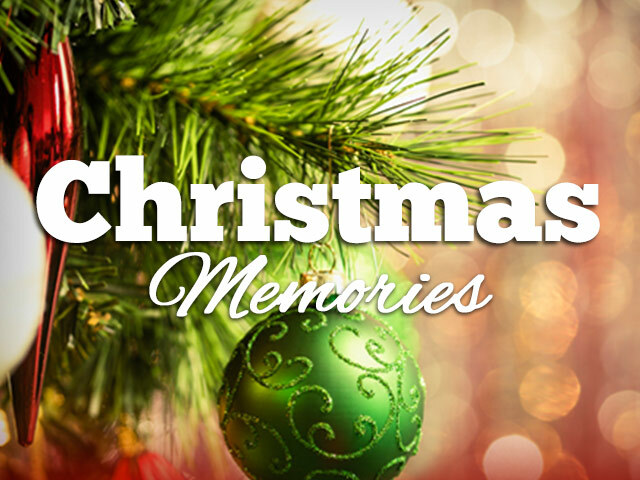 But no, whenever I get the “What’s your favorite Christmas memory?” question, I inevitably start thinking about…puke. Pleeeeease, God, help Nicole get better and make me sick instead. Now, here’s the point when we all take a mental step back and wonder just what I was thinking during that prayer. I mean, I obviously believed God was powerful enough to help my sister get well. So uh…why I didn’t I just stop the prayer there? Dunno. But for whatever reason, my tween-age brain apparently thought that there was more chance of her getting better if the sickness transferred to someone else. So that’s what I prayed. And that’s exactly what happened. Within twenty-four hours, Nicole was out of bed, playing and going strong. And I…was throwing up. I have this wonderful Christmas memory of practicing with my brother and sisters—practicing sneaking past my mom and dad’s bed. (They weren’t in it. It was daytime.) My brother and one sister played the roles of Mom and Dad and lay down in bed with their eyes closed and listened. Then one of my sisters and I—three of us slept in the bedroom past theirs—would tiptoe past while “Mom and Dad” listened for creaking floorboards. I’ll back up and set this up just a little. First, it’s important to know that Mom and Dad could have put a stop to this if they’d wanted to, but they probably thought it was fun. Either that or they were just too nice. 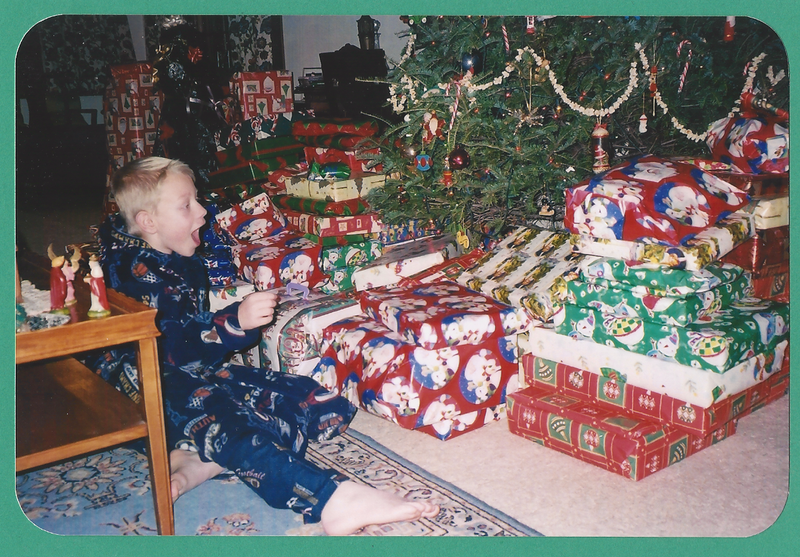 But every Christmas morning, all my growing-up years, my brothers and sisters and I would get up crazy early in the morning and open our presents. I have no idea how early. I have a sneaking suspicion we were getting up almost the instant my mom and dad went to bed. Instead of growling at us to get back to bed, my parents would just come out and watch and enjoy the madness and let us tear into the gifts. There was no order to it. None of the lovely “taking turns” I hear about in some families. Nope, we just launched ourselves onto the tree, tossing presents to each other, ripping them open when we found one with our own name on it. It was chaos. This went on until we got the tree utterly stripped. Then we played and talked and just generally had the time of our lives for who knows how long before going back to bed. 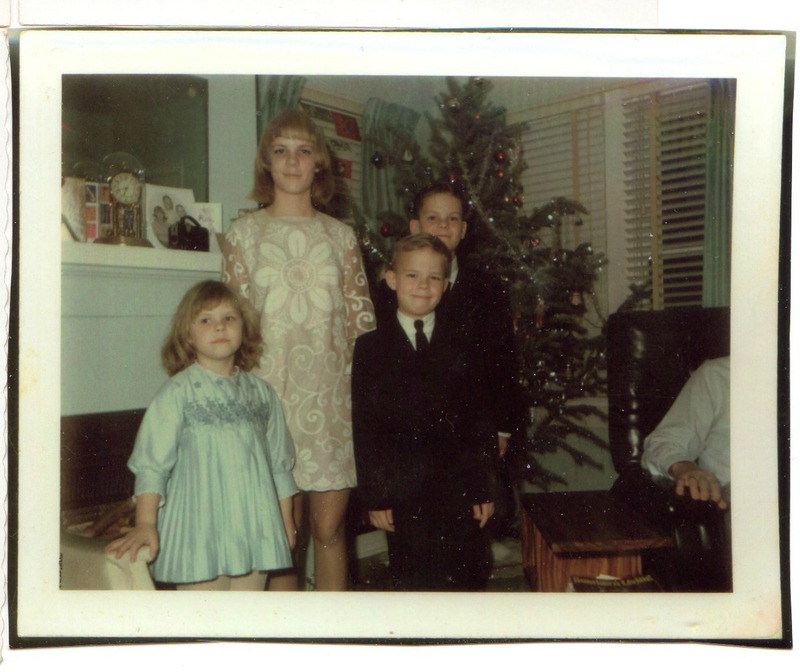 I’m the one farthest left…close to Santa. I’m almost five. 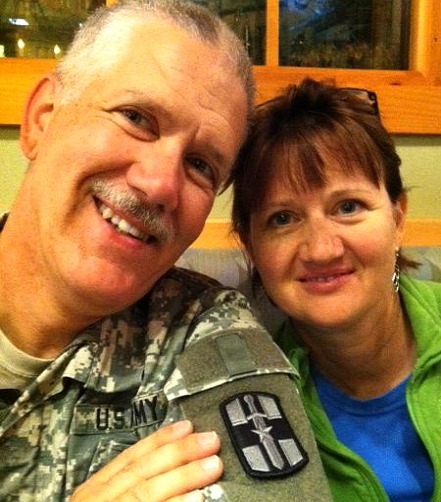 From March of 2011 to February 2012, my Army Reservist husband, Peter, was deployed to Afghanistan to command a field hospital a few miles from the Pakistan border. It was a challenge for me and our four children to have him gone, but nothing we went through compared to his experience. Peter and I saying goodbye at the airport before he left for Afghanistan. He was on a base routinely targeted by rockets, and one of his nurses was killed in an attack a few weeks after their arrival. Other enemy attacks killed several more soldiers on the base during Peter’s deployment. He oversaw the care of American and international soldiers, Afghani citizens and children, and enemy soldiers, too. He lived every day in a war zone doing his best to save the lives of each person who came through the hospital. And for the most part he and his staff were successful—but every death was a horrible loss. I, on the other hand, escaped into my world of the Amish, writing Courting Cate in the fall and winter of 2011. It wasn’t that I didn’t worry about Peter. I did. Every single day I had to struggle to trust God with Peter’s life, and then I’d gladly enter my writing world filled with nonresistant, Anabaptist characters who lived where there was no war. My parents knew how to make Christmas special. For my mom, it was the highlight of the year–especially once she had grandchildren. I feel blessed that my boys and their cousins grew up with Christmases brimming with anticipation, secrets and surprises, and the wonder of childhood. Mom would start buying presents early…and then forget all that she had bought. She was determined to spend the same amount on every child and grandchild, so then she’d have to go buy more to even up the piles. Ai-yi-yi. 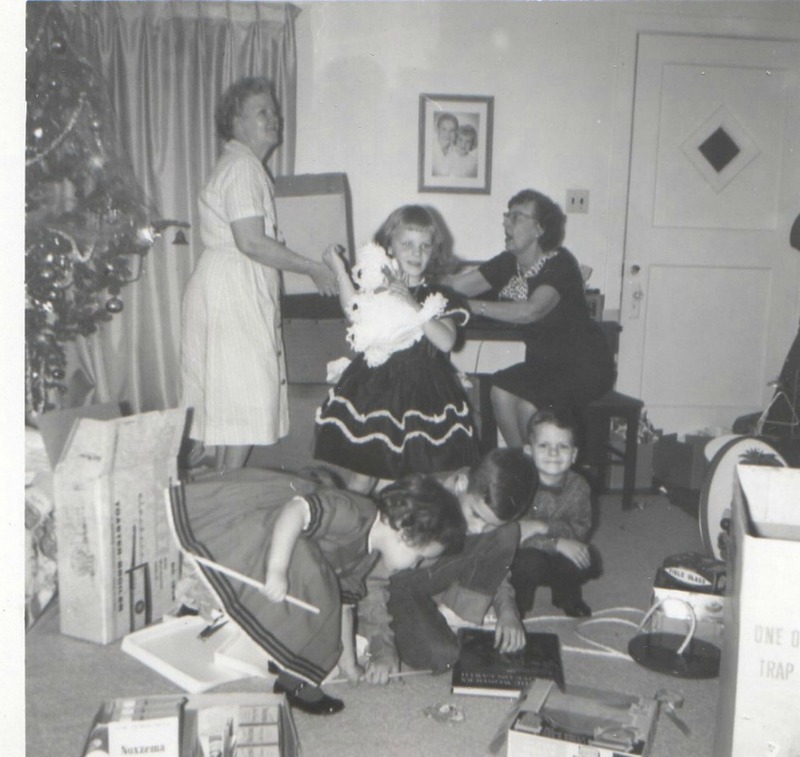 By the time Christmas arrived, the mound was amazing, and my poor dad would spend days trapped in the basement wrapping. But to them it was worth it all to see the open-mouthed, bright-eyed expressions of wonder on their grandchildren’s faces when they came downstairs on Christmas morning to a city of wrapped gifts surrounding the big tree, decorated with a pleasing disarray of antique glass ornaments, kid-made ornaments, and the popcorn garland they had strung on their first Christmas together. (That string of popcorn lasted more than forty years!) Now that my parents have been gone a few years now, Christmases are just not the same. So I’m glad for this excuse to pause and reminisce about the wonder years. We would serve appetizers with extended family, and the kids got to open one gift. Everyone would leave one of their actual socks (clean, ideally) on the stairs in age order for Santa to fill (We didn’t have a fireplace). My brothers, with their huge feet, scored big time. Christmas Eve Appetizers (partial list). Reuben sandwiches on mini cocktail rye and baked. Yum. Homemade cookies and candy, etc. Wow, Mr. Twain, how about a little hope here? Some small inkling that these lives of ours are meaningful and worthwhile? Ever since my mom died almost ten years ago, with my dad following three years later, the Christmas season has been a little difficult for me. No longer am I flying across the country with my husband and son to celebrate the season in my childhood home, but I am now forming new traditions while trying to push aside the melancholy I experience throughout the holidays. 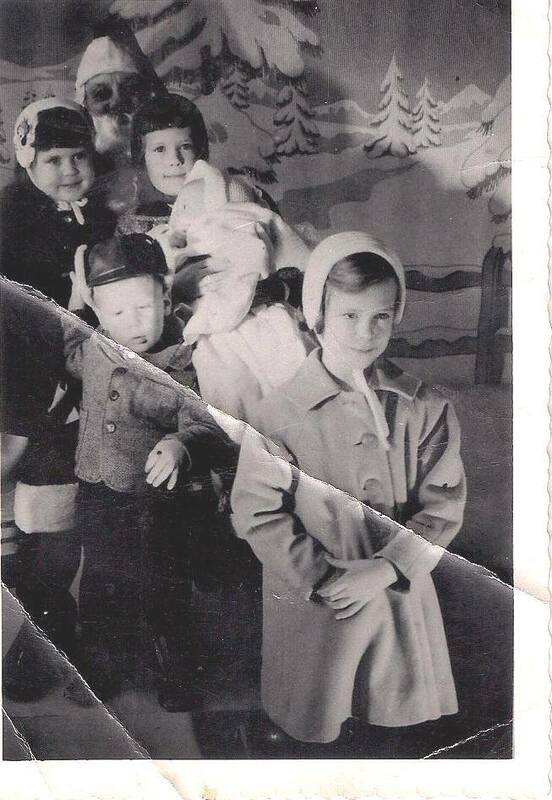 I was incredibly close with my mom, and Christmas is just one of those times families are expected to get together, which makes her absence felt all the more deeply. Last year was no exception to the melancholy problem, and it hit me harder than ever on Christmas Eve. Not even dressing up for church in an adorable outfit of Christmas plaid—paired with matching shoes, I must add—could lift my spirits. We arrived at church, and the peace I normally receive simply by walking through the door just wasn’t there. Finding a seat in the very back, I glanced around . 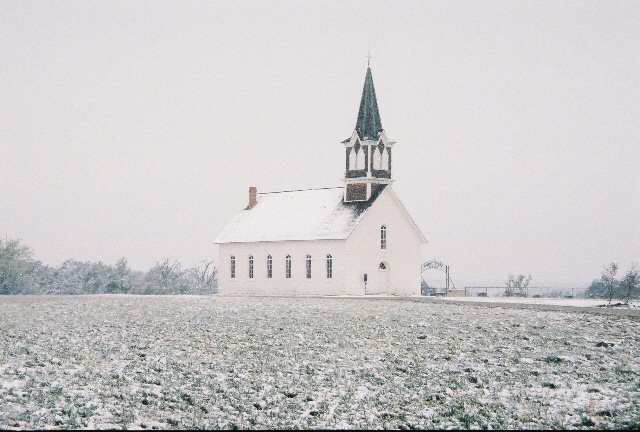 . . and that’s when I saw her—an elderly lady, sitting by herself, in a pew on the opposite side of the sanctuary. I watched her for a moment, and then I rose to my feet and told my guys we were moving. They–being quite used to me and the fact I change seats on a whim–followed me as I scooted past happy families and made my way over to the elderly lady. She lifted her head when I stopped right beside her, and her hazel eyes—eyes that were exactly the same shade my mom’s had been—twinkled with mischief. Her hair was cut in stylish bob, again, just like my mom used to wear, and her smile was infectious as she told me her name was Bobbie Sue, patted the seat right next to her, and said she’d be completely tickled if I sat with her. I introduced her to my husband and son, and she fussed over them, telling me how lucky I was to have such handsome men in my life. I believe He would have wanted The Birth to take place inauspiciously, in the shadows on the periphery of a national celebration that He’d already instituted long beforehand. It would be just like Him to do that. In Jesus’ day there were three major festivals where Jews made pilgrimages to the Temple. In the spring, Passover recalls the Exodus and is known in Jewish literature as “the time of our freedom.” Seven weeks later, Shavuot commemorates Moses on Mt. Sinai, “the time of the giving of the law.” Both of these festivals are solemn, and only Jews are invited. The third pilgrimage festival is different in a number of ways. Sukkot is widely known as the Festival of Booths, when Jews build temporary shelters and live in them for a week in remembrance of a time when their forefathers gathered daily rations of manna while literally following God through the wilderness. Like children. That father/child relationship is at the heart of Sukkot—the intimate bond, the sheer wonder of God’s father-like love. It’s why Sukkot is known in Jewish texts as “the time of our joy.” It is pure jubilation, and also the only festival where Gentiles are welcome. It happens after harvest in the fall, usually late September or early October. After the crops are all in and another winter’s sustenance assured, there comes a natural little breather in the hardscrabble lives of first-century Jews, a logical time for them to make a pilgrimage—or a trip back to their ancestral home to comply with a mandated census. Ask BHP: Is It Hard Not to Over-Analyze Books?